Matawan is a borough within Monmouth County, New Jersey. 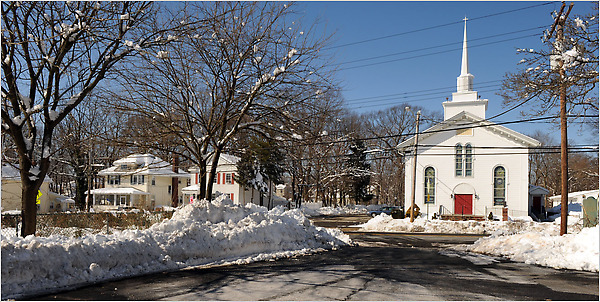 It is a close-knit suburban area with easy access to NJ Transit and area highways. Matawan was found around 1686 by Scotch Presbyterians who settled at the crossing of two indian trails and was orginally know as Middletown Point. Today, Matawan appeals to a wide variety of residents, partly because of an excellent transportation network but also for its wealth of natural resources, including two lakes and the Matawan Creek. Just 2.4 square miles in size, Matawan is informally divided into several neighborhoods largely defined by its two lakes, Lefferts and Matawan, and the two major highways that bisect Matawan, Routes 79 and 34. The Matawan-Aberdeen station serves most of western Monmouth County, offering a direct line to New York City, with commuting times ranging from 59 to 70 minutes. Matawan is also just off Exit 117 of the Garden State Parkway, which — traffic depending — gets you into the city in 50 to 60 minutes. New Jersey Transit’s 133 Line provides bus service to Port Authority.